The influence of extracellular pH on characteristics of volume-activated chloride current, ICl,swell, in the human prostate cancer epithelial cell line, LNCaP, was studied using the patch-clamp technique. Acidification of the extracellular hypotonic solution used to develop the current shortened the temporal parameters of ICl,swell development and reduced its maximal density. Sudden shifts of the pH towards acidification caused fast, transient potentiation of the current followed by its sustained inhibition. Voltage-dependent inactivation of ICl,swell was the most pronounced in the narrow range of pH=6-7. Based on the analysis of our data we hypothesize that volume-regulated anion channels underlying ICl,swell possess in their structure at least two pH-sensitive molecular groups with similar pK=6, titration of which modulates the current amplitude and two additional proton-sensitive groups that determine channel’s inactivation. Вітко Ю.М., Лазаренко Р.М., Погорєла Н.Х.Вплив внутрішньоклітинного трипсину на характеристики потенціалзалежноі інактивації хлорного струму в клітинах раку простати//Фізіол.журн.- 2002.- 48, № 3. – С. 41-50. Шуба Я.М., Скрима Р.Н., Преварська Н.Б. Об’ємчутлива аніонна првідність у клітинах лінії капциноми простати людини// Фізіол. журн.-1999.- 45, №4.-С.27-34. Arreola J., Melvin J.E., Begenisish T.Volumeactivated chloride channels in rat parotid acinar cells//J. Physiol. (Lond).-1995.- 484.-P. 677-687. Fardel O, Lecureur V, Guillouzo A. The P-glycoprotein multidrug transporter //Gen. 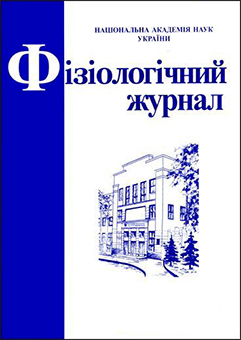 Pharmacol.-1996.-27, № 8.-P. 1283-91. Gerweck L.E, Seetharaman K. Cellular pH gradient in tumor versus normal tissue: potential exploitation for the treatment of cancer //Cancer Res.-1996.-56(6).-P. 1194-8. Hille B. Ionic channels of Exitable Membranes //Sunderland: Sinauer Associates, Inc,1992.-P. 365-397. Hoffmann E.K., Simonsen L.O. Membrane mechanisms in volume and pH regulation in vertebrate cells//Physiol. Rev.-1989.-69.-P. 315-382. Idriss H.T., Hannun Y.A., Boulpaep E. at al.Regulation of volume-activated chloride channels by P-glycoprotein: phosphorylation has the final say!//J. Physiol.- 2000.-524, № 3. - P. 629-36. 9. Kirk K., Ellory J.C., Young J.D. Transport of organic substrates via a volume-activated channel//J.Biol. Chem.-1992.-267.-P. 23475-23478. 10. Meyer K.,Korbmacher C. Cell swelling activates ATF-dependent voltage-gated chloride channels in M-1 mouse cortical collecting duct cells// J. Gen.Physiol.-108.-P. 177-193. Nilius B., Eggermont J., Voets T. at al. Properties of volume-regulated anion channels in mammalian cells// Prog. Biophys. Mol. Biol.-1997.-68.-P. 69-119. Nilius B., Eggermont J., Voets T. at al. Volumeactivated Cl channels//Gen. Pharmacol.-1996.-27.-P. 1131-1140. Nilius B., Preden J., Droodmans G. Modulation of volume-regulated anion channels by extra- and intracellular pH//Eur. J. Physiol.-1998.-436.-P. 742-748. Okada Y. Volume expansion-sensing outwardrectifier Cl channel: fresh start to the molecular identity and volume sensor//Amer. J. Physiol.-1997.- 273.-P. 755-789. Raghunand N, Gillies R.J. pH and drug resistance in tumors//Drug Resist.-2000.-3, №1.-P. 39-47. Sabirov R.Z., Prenen J., Droogmans G. at al. Extra and intracellular proton-binding sites of volume-regulated anion channels// J. Membrane Biol.-2000.-177.-P. 13-22. Sarcadi B., Parker J.C. Activation of ion transport pathways by changes in cell volume //Biochim.Biophis. Acta.-1991.-1071.-P. 407-427. Schlichter L.C., Sakellaropoulos G., Ballyk B. at al. Properties of K+ and Cl- channels and their involvement in proliferation of rat microglial cells//Glia.-1996.- 17.-P. 225-236. 19. Shuba Y.M., Prevarskaya N., Lemonnier L. at al.Volume-regulated chloride conductance in the LNCaP human prostate cancer cell line// Amer. J.Physiol. Cell. Physiol.- 2000.-279, №4. - C1144-54. 20. Skryma R.N, Prevarskaya N.V., Dufy-Barble L.at al. Potassium conductance in the androgen-sensitive prostate cancer cell line, LNCaP:involment in cell proliferation// Pros-tate.-1997.-32.-P. 112-122. Valverde M.A., Diaz M., Sepulveda F.V. at al.Volume-regulated chloride channels associated with the human multidrug-resistance P-glycoprotein//Nature.-1992.-355, №6363.-P. 830-3.
van Brussel J.P., van Steenbrugge G.J., Romijn J.C. at al. 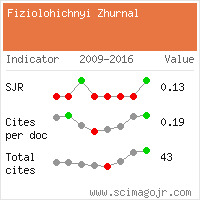 Chemosensitivity of prostate cancer cell lines and expression of multidrug resistancerelated proteins//Eur. J. Cancer.-1999.-35,№ 4.-P. 664-71. Wei L.Y., Roepe P.D. Low external pH and osmotic shock increase the expression of human MDR protein//Biochemistry.-1994.-33, № 23.-P. 7229-38. Woolf S.N. Screening for prostate cancer with prostate specific antigen. An examination of the evidence//New Engl. J. Med.-1995.-333.-P. 1401-1405.